We are protesting against The Marshall Development. You will remember that the Ealing Green Party campaigned very hard against this monstrous over-development on Hanwell Broadway and that we were successful. Ealing Council rejected the plan by 12 votes to 1. However, the developers have now appealed against this rejection to the Secretary of State. So we must now object to the appeal. Height: 9 storeys is completely out of keeping with the character of the street and the area and will reduce the light for the community. Air pollution: NO2 very bad on Hanwell Broadway – regularly breaks the law. New skyscrapers will make it worse. Affordable housing: offering too little and inappropriate, too ‘ghettoized’. Local resources overstretched already: There is no provision for more local transport. There is no car parking provision which will make the pavements of Old Hanwell even more impassible for pedestrians. A large new development of 63 flats in the middle of Hanwell. It’s far too big. At 9 storeys, it is badly out of character for the small town of Hanwell and far greater than the density allocated to the area in the London Plan. Local services will not be able to cope. Waiting times for GP and emergency services are already badly overstretched. The NHS is forecast to face its worst winter ever. This development has no plan to include school places or a doctor’s surgery. Traffic is already very heavy on Uxbridge Road, leading to stress, wasted time and air pollution. It is already impossible to squeeze onto the skeleton train service from Hanwell station at peak times. Even with Crossrail coming, trains are impossibly crowded. Plans like this risk turning Hanwell into a dormitory as local employment is chased out by development. Our community will suffer as people are forced to travel long distances for work, unable to find a job where they live. Don’t we need housing in Hanwell? Yes, but this won’t solve anything. The cost of these units is well out of most people’s price range. They represent poor quality ‘rabbit hutch’ accommodation built to suit developers instead of providing a decent place to live. Low ceiling heights and cramped rooms make these unsuitable as family homes. What should be on the site instead? You tell us! Draw a picture, write a poem or describe what you would like to see. Then take a photo and send it to us at kramdenial@gmail.com or tweet it at @EalingGreens. What do you think? Do we need community and leisure facilities, like a local cinema, more green space, or something that will create good local jobs? Ealing Council is due to consider the planning application soon. Please give your comments here. Please consider saying the development is too high, the external appearance is out of character for Hanwell, it has inadequate public transport provision (as Hanwell station is poorly served with an infrequent service), will cause parking issues (since the surrounding area does not have a Controlled Parking Zone), will lead to loss of daylight and privacy for the surrounding area (particularly the church next door), and is a strain on existing community facilities. There are still many facts and figures thrown at the audience in the Inconvenient sequel to Al Gore’s original documentary. But now they are more spaced out, so perhaps you don’t notice them so much. Then you think back and you realise you were told that 93% of the carbon emitted by humanity is absorbed by the oceans. You remember that the most powerful typhoon ever to hit land was powered by ocean temperatures 3 degrees higher than normal. You remember than 15 of the hottest years on record have come in the last 18 years, and so forth. Having said that, this is more of a “Where are we now?” kind of film, rather than a “this is what it’s all about”. It is also a call to action – at the end we are urged to pressure our schools, our businesses, our workplaces, our local politicians to take action and do all they can to mitigate the climate crisis. In some ways, since An Inconvenient Truth was broadcast, the world has grown darker. Extreme weather events have become more and more common place (such as the aforementioned typhoon); fossil fuel companies pour huge funds into a campaign of disinformation – intent on slowing the place of climate action and protecting their own profits; and then of course there is Donald Trump. There is also reason to hope though: witness the conservative republican mayor of a city in Texas who is overseeing a complete conversion to renewable energy; and the incredible pace at which Chile is pushing its solar power revolution. It is important to hold on to these signs of hope and not feel too discouraged about the future. As the film itself notes, ‘Despair is just another form of denial’. 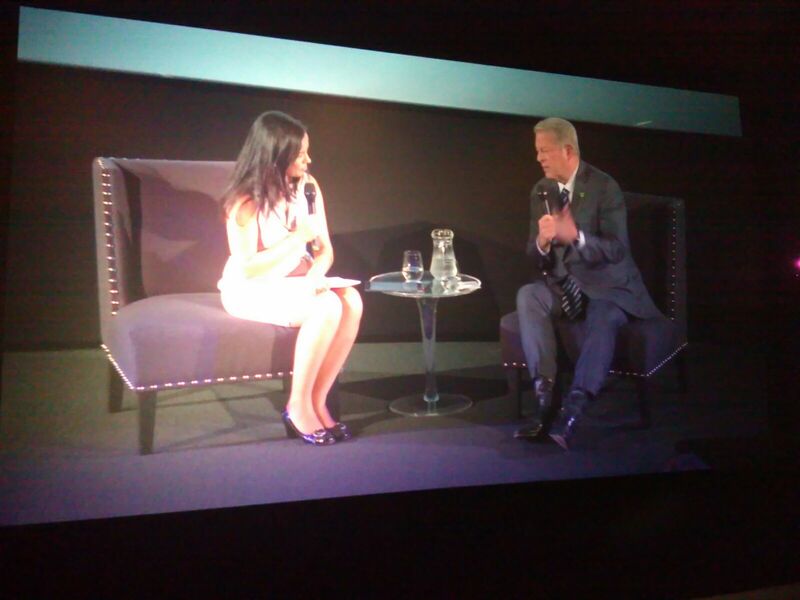 As regards criticisms of the film: much of it is centred on Al Gore’s experiences at the Paris Climate summit – and while this is interesting in places, it was pointed out that the movie felt like “The Al Gore Show” at times. Also, perhaps the attitude towards ‘developing countries’ (i.e India) veered towards the condescending and simplistic. The movie certainly came from a western perspective. It should also be noted that while Al Gore is an evangelist for solar power, this form of energy can come with its own environmental and human exploitation costs as regards mining for the necessary materials. Mr Gore would do well to acknowledge this and call for more environmentally friendly and ethical means of extraction. 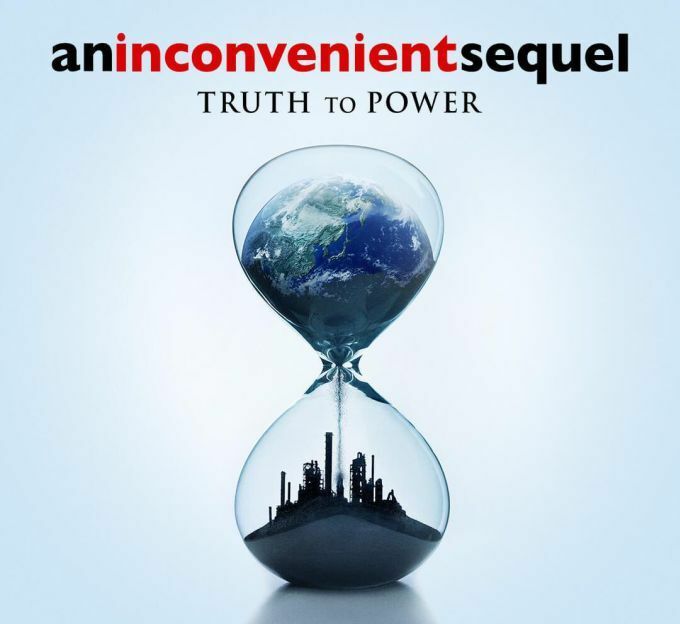 It remains to be seen whether this sequel will be as effective as An Inconvenient Truth. Having said that, this is a subject too important not to at least try. Go and see what you think!